← Star Trek: Into Darkness Review: It… Has… TRIBBLES!!!!!!!! As many of you know, I got the chance to see this film on the opening night of the Seattle International Film Festival several days ago, and I’ve been trying to find a moment here or there to put the finishing touches on the review. The movie itself comes out on June 7th in select cities around the country, and as you might guess from the following review I strongly recommend that you give it a try. Having seen it, I have now reached the conclusion that there is truly nothing Whedon can’t do. From Buffy the Vampire Slayer to Cabin in the Woods to Firefly to The Avengers, the man seems to be more genre-proof than any other person in Hollywood right now. Seeing him handle Shakespeare just as well as he’s handled Sci-Fi Westerns and Horror Comedies leaves me wanting to see him fill in the rest of his genre punch card just to prove that he can. That being said, about the only thing left to be covered is Romantic comedy, and depending on your definition that might even be covered by the film at hand. 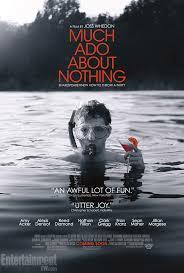 General audiences might find the direct use of the original text to be a bit hard to follow, but a wonderfully talented cast combined with the innate comic sensibility of Whedon’s direction make Much Ado About Nothing the most purely enjoyable Shakespearean adaptation I’ve ever seen. Because of the issues with the dialogue I’ll go into below, I confess that it took me a while to understand a great deal was going on in the film. I had not read or seen the play before and, consequently, had to often rely on context to let me know what was going on. However, once you do start catching up with what everyone is saying, the plot begins to serve as a reminder as to just why Shakespeare is still considered to be one of the greatest creative writers of all time. Watching each character weave their way through devious plot after devious plot can be amusing, exciting, and ominous all at the same time. 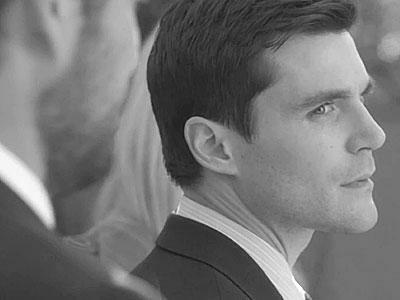 All of it builds towards an ending that may be the most satisfying of the year thus far. I’d like to reinforce the fact that my low score here does not mean that I think the writing was “Bad” or anything of the sort. On the contrary, the amount of wit in nearly every line is unparalleled in most modern writing. The issue here is that, for better or for worse, the English language has changed quite a bit in the past several hundred years, and as a result the words the characters are speaking might be nearly as difficult to follow for many modern viewers as a foreign language might be. I personally have read a respectable amount of Shakespeare yet I often found myself struggling to understand what the people on screen were talking about. The frustrating thing is that the dialogue itself is so tightly packed with wit and sardonic humor that nearly half of the lines in a given scene might occupy some elaborately constructed metaphor for what is going on with that character. When you’re already trying to remind yourself of things like “‘Twixt’ actually means ‘Between'” and “‘Thee’ actually means ‘you'”, it can be very difficult to understand the meanings of the script’s ongoing parade of wordplay, double meanings and thinly veiled sarcasm. This gripe would of course be much less of a concern if you have had previous experience with the source material in some way or another, so if you were thinking about giving the original text a go then doing so before watching this movie wouldn’t be the worst idea in the world. When you boil the film down to it’s most basic components, there are two main reasons why it works so well; Joss Whedon’s direction, and the overwhelming charm of the cast. Having only seen him as Sandy Rivers in How I Met Your Mother previous to this film, I was incredibly surprised by how well Alexis Denisof fit into his role as the hilariously puffed-up Benedick. 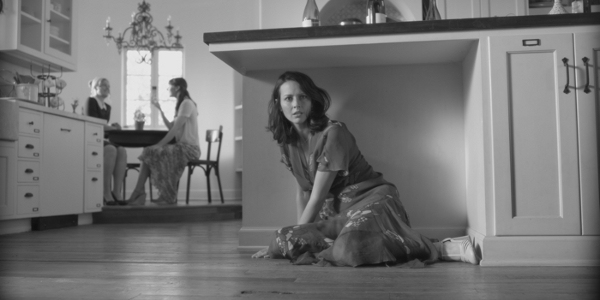 Equally fun to watch is Amy Acker’s belligerently independent Beatrice, though I personally thought that her strongest moments came from the character’s more dramatic scenes. There isn’t enough room to adequately recognize the rest of the supporting cast, but I’d like to at least mention a few stand-outs. First, we have Clark Gregg as Leonato, the father of the bride and host of the entire affair. Maybe this is just me talking, but I thought that Gregg felt the most natural in his modern day delivery of the Old English lines. As Leonato’s soon-to-be-son-in-law we have Fran Kranz, who proves that he’s not going to be easily typecast by his admittedly amazing role in last summer’s Cabin in the Woods. My personal favorite though has got to be Nathan Fillion as Dogberry, the well-intentioned yet bumbling law man overseeing the ceremony at hand. Fillion might not show up until the last half of the movie, but his delivery of his lines has the perfect combination of pride and “I have no idea what I’m doing”. Again, some of the comedic potential of the script will inevitably be lost on the vast majority of audiences because of it’s sheer verbosity (I always love using that word when complaining about something being too complicatedly written). Thankfully, the humor is still abundant even when the script is removed all together, and anyone who has seen Whedon’s previous works will realize how much of a hand he has in this. The man has this seemingly effortless gift for creating physical comedy that doesn’t rely on slapstick. Whether it’s placing a character next to a child’s dollhouse while giving a serious monologue, having the main villain doggie-paddle away from the main character after saying something sinister in a swimming pool, or punctuating a witty Shakespearean conversation with a fist bump; it really is admirable how much Whedon is able to do with simple staging to achieve laughs without compromising the integrity of the subject matter. This entry was posted in Comedy, New Releases, Reviews, Romance and tagged Claudio Fran Kranz, Fran Kranz Much Ado About Nothing, Joss Whedon Much Ado About Nothing, Much Ado About Nothing 2012, Much Ado About Nothing 2013, Much Ado About Nothing Alexis Denisof Benedick, Much Ado About Nothing Beatrice Amy Acker, Much Ado About Nothing Dogberry, Much Ado About Nothing Early reviews, Much Ado About Nothing Filming, Much Ado About Nothing filming details, Much Ado About Nothing Joss Whedon, Much Ado About Nothing Movie, Much Ado About Nothing Movie direct translation, Much Ado About Nothing Old English, Scuba mask Much Ado About Nothing Dran Kranz, Sean Maher Much Ado About Nothing. Bookmark the permalink. One of my most highly anticipated flicks of the year and your great review has whetted my appetite yet further! Bravo! Fine review and it has me fired up to see it. Not sure when it’ll hit this part of the country but my eyes will be open. What’s your part of the country again? Nice review Andy. This has kind of slipped under my radar this one but I’m pretty intrigued to see it now. Nice one! I’m looking forward to it, though I should probably read the source material or something beforehand so I don’t get too lost in the language. Look at you seeing all this stuff before everyone else lol. Good review. I don’t think I’ll track this down in theaters but I’ll definitely look for it as soon as it hits DVD. I like my Shakespeare with subtitles lol.